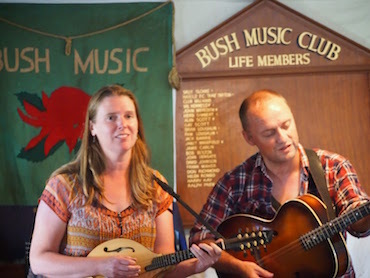 Chloë & Jason (vocals, guitar, mandolin) have been researching and presenting the living tradition of Australian music for over twenty years. They gather and present the songs and poems of the kitchen, the verandah, the shearers’ huts, the local pub - and the yarns that go with them - in all their ornery detail. 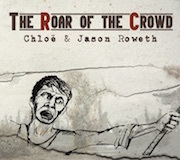 Drawing their inspiration from the warmth of old-style bush entertainment, the Roweths work with vibrant arrangements of new and old traditional Australian ballads and work songs, early country music, original music, poetry, yarns, and dance tunes weaving together and carrying forward many threads of the Australian tradition. They also specialise in themed presentations, forging unique combinations of music, folklore and social history. + support MaD aDaM - Putting instruments in their places. 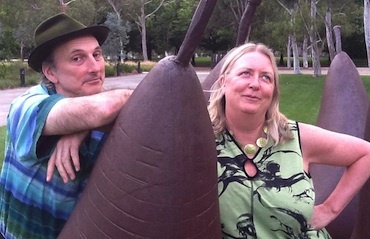 With a lifetime of harmony singing behind them, Miguel Heatwole and Dallas de Brabander combine forces to deliver an exciting collection of original and contemporary folk harmony duets and solo pieces infused with humour, drama, politics and passion.